Bask in 300 days of sunshine while enjoying such unforgettable adventures as fishing Klamath Basin, rafting Rogue River or playing a game of golf on our Arnold Palmer course. 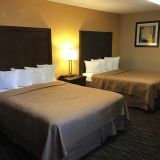 The easiest way to plan your stay at our hotel near Crater Lake is by booking direct or giving us a call. 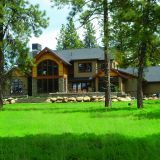 Make reservations to experience our upscale Klamath Falls lodging today or learn about real estate options. Make Crater Lake hotel reservations today using our secure online booking engine.